The Foraging Cups and Box are considered one of the food puzzles that is considered a kind of two toys in one, requiring a cutting utensil, a shallow cardboard box, and a little plastic, paw sized cups, making holes in the top of the box for the cups, putting food in the cups, removing the cups, placing food and toys in the box, allowing your cat to play and use its senses to detect the food. 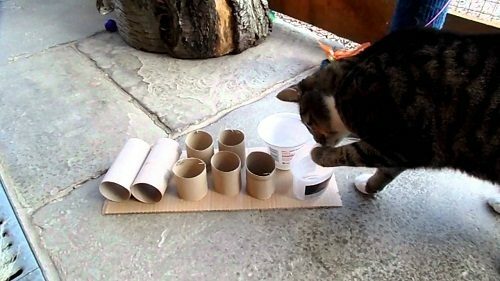 The Puzzle Board is considered one of the food puzzles that is easy to make at home, requiring a flat piece of cardboard that you can glue paper towel rolls and plastic containers , putting some food in the openings to help your cat to slow down if it eats too fast. 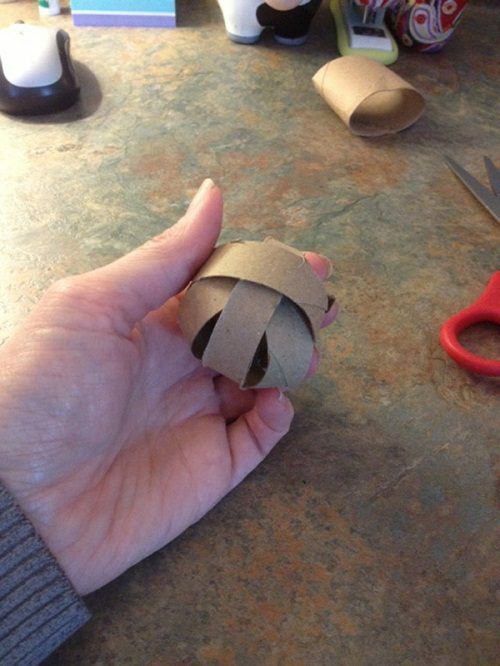 The paper Towel Roll Ball is considered a very easy toy to make. You will need a paper towel roll, scissors and tape, making a fun little treat-dispensing ball, close all openings in a ball by tape except one opening put dry food in it. That allows your cat to use its hunting instincts and challenge itself to play for its food, reducing boredom. 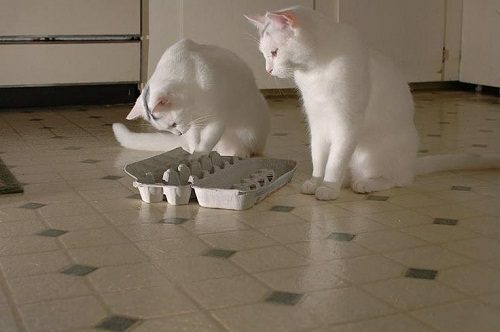 The Egg Carton is considered the easiest food puzzle toy you can make at home, requiring an egg carton, putting food in the carton, letting your cat have at it, cutting some holes to give your cat a better chance of scooping out the food, or you will leave the box open, letting your cat use its paws to gain the food. 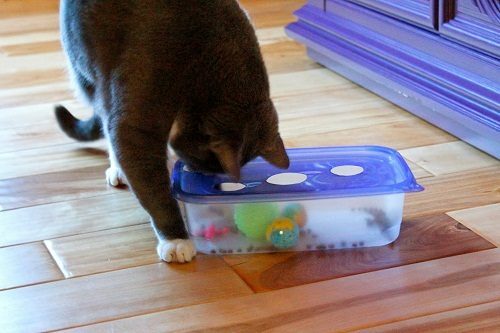 This Toy is considered one of the food puzzles you can make at home by using a simple plastic container, cut paw sized holes in the lid, and add a bell if you would like to give your cat something extra . 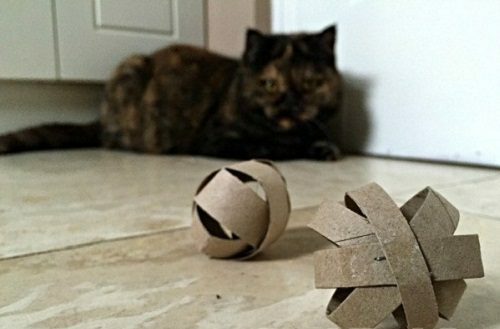 This toy will encourage your cat to use problem-solving skills and can last longer than the paper towel roll. 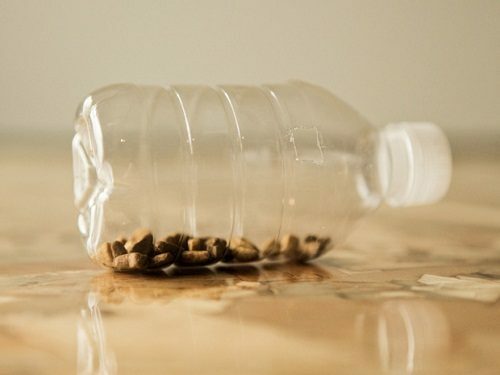 This Toy is considered a simple type of food puzzles, requiring a bottle, a rubber band, a skewer, and a plastic ball, being a way to help your cat to slow down its fast eating, and will challenge your cat to use some problem-solving skills. 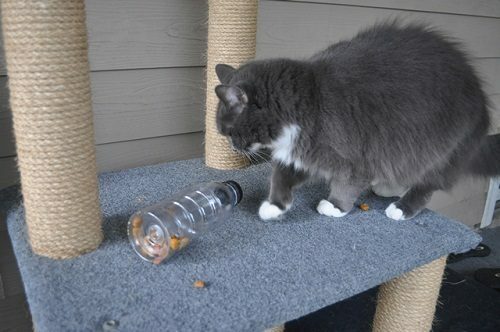 The Water Bottle is considered one of the easiest food puzzles that you can make at your home, requiring a water bottle with some holes cut into it, placing food in the bottle, and may decrease the number of holes, to let your cat move it around to release the food. 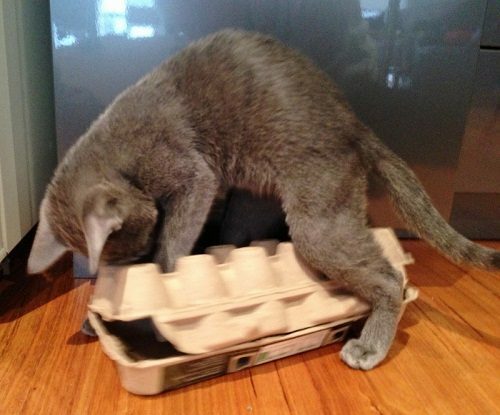 This toy will help your cat to use hunting, pouncing and play skills. Puzzle feeder is considered a very effective tool for adding mental stimulation into daily life. Many of us want our cats to stay indoors for safety reasons, but we can’t supply good enrichment to make your cat healthier and happier. Pet puzzle feeders are considered a great means to entertain your cat while you are at work, and can slow down the pet’s eating. Feeder games are useful for cats that tend to inhale their males quickly. Puzzle feeders encourage your cat to think and stay mentally stimulated. There are many puzzle feeders, varying from basic to more complex. 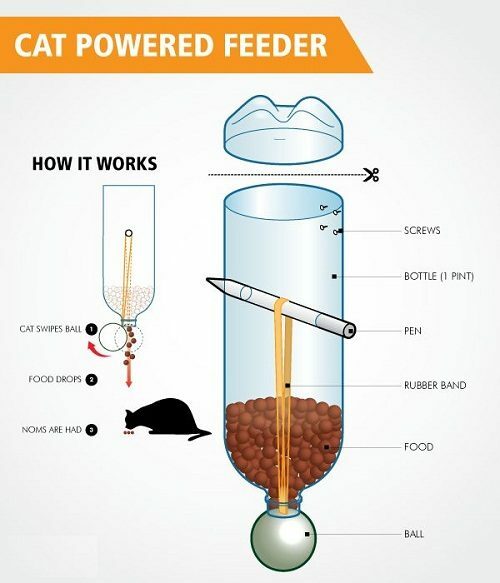 The type of cat food you use depends on the design of the feeder game toy. Feeder games help to increase the activity of older cats and reduce stress to boot. 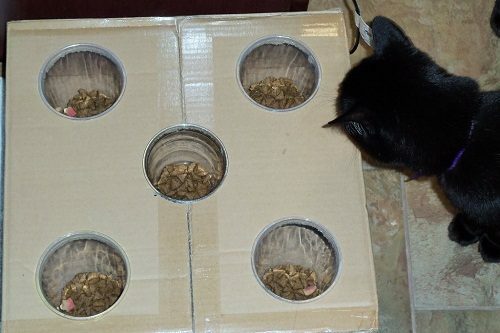 When you make homemade puzzle feeders, make some of the holes big enough to make your cat have a lot of opportunities for achievement in getting the food. 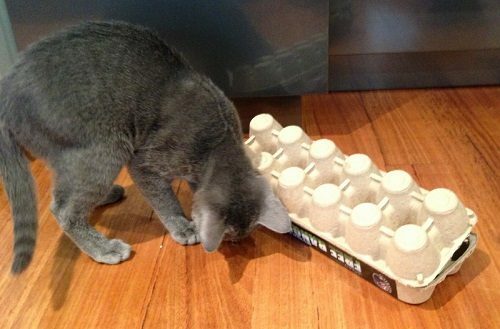 You can use the easy food puzzles for your cat at first, then you can increase the challenge after your cat gets better at getting its food out of the puzzle. Using your imagination to create these puzzle feeders. Some puzzle feeders can be used with wet food, putting a little wet food inside the cat’s toy, using the small size to help your cat to hold the food inside the puzzle feeder. Allowing cats to work for food is considered a way of enrichment for your cat, providing your cat with the exercise and challenges they need to be healthier and happier. great ideas to keel=p Mia stimulated.